Wire worked tiny bottle and glass charm, in silver plated wire. The charms hang from silver plated French ear wires. 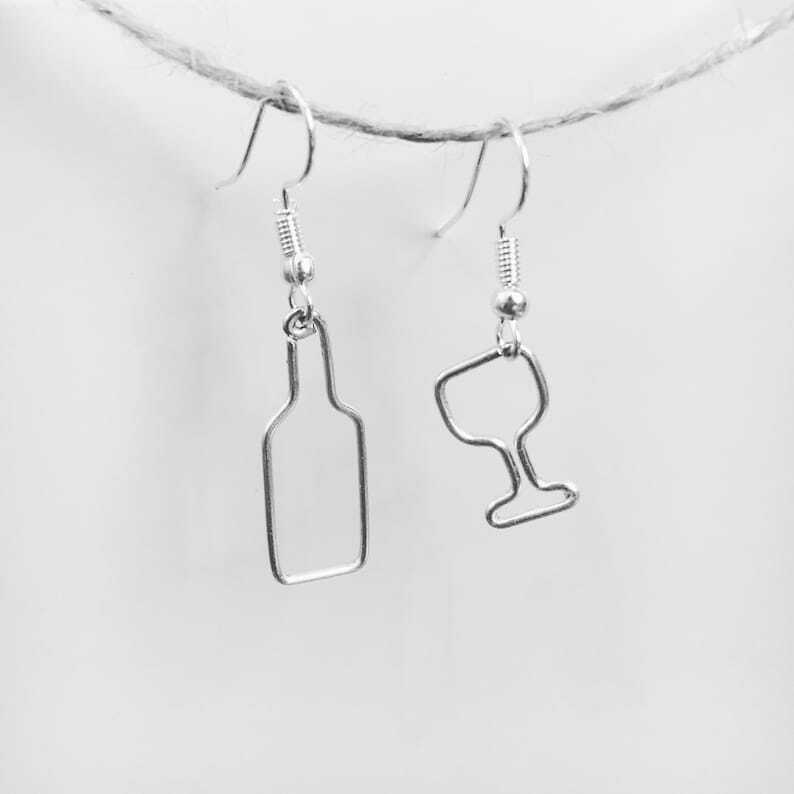 Perfect gifts for wine lovers! An awesome gift for a 21st birthday, bachelorette party, or Mother’s Day. Each item is intricately and uniquely designed and hand crafted, in the United States. Custom orders are eagerly welcomed.